Spring is in the air, the perfect time to gather your needle and thread and celebrate the colourful flowers appearing in our beautiful landscape. A chance to learn about the Quaker Stitch, a stitch specially designed for the Quaker Tapestry which is now recognised world-wide as a new ‘crewel embroidery’ stitch. Whichever workshop you choose, you will be given the opportunity to learn six basic stitches used within the Quaker Tapestry: Stem, Split, Chain, Quaker, Bayeux Point and Peking Knot. 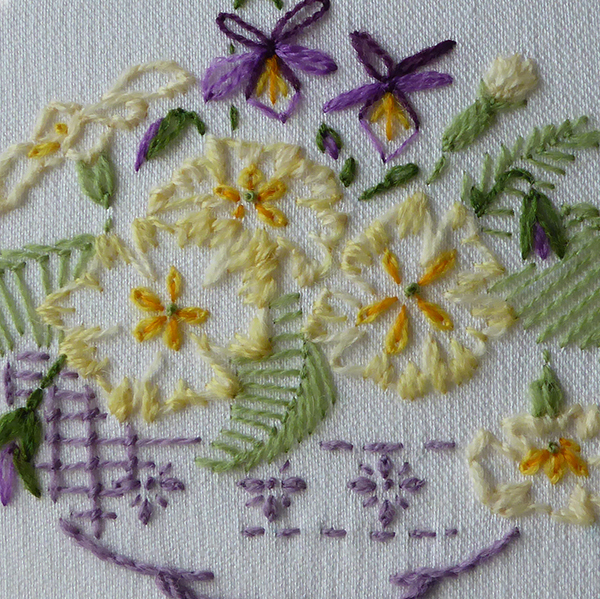 Workshops take place in a relaxed environment with friendly tutors to help you work towards an embroidered picture to finish at home. You will be provided with a workshop kit consisting of all the materials needed to create and finish a stitched picture and as an added bonus workshop attendees gain FREE entry to the Quaker Tapestry Museum on the day of the workshop. For further information and bookings head to the Quaker Tapestry Website. Visiting Kendal to take part in this course? Why not make a weekend of it, discover Kendal’s great accommodation options. Spring is the perfect time to browse our shops and enjoy a riverside stroll.